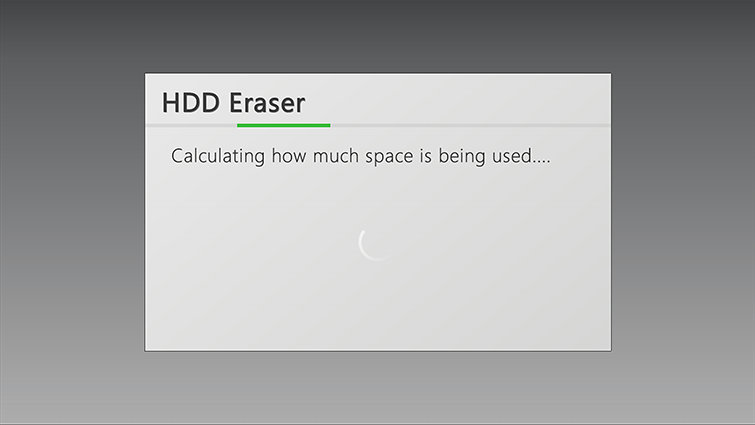 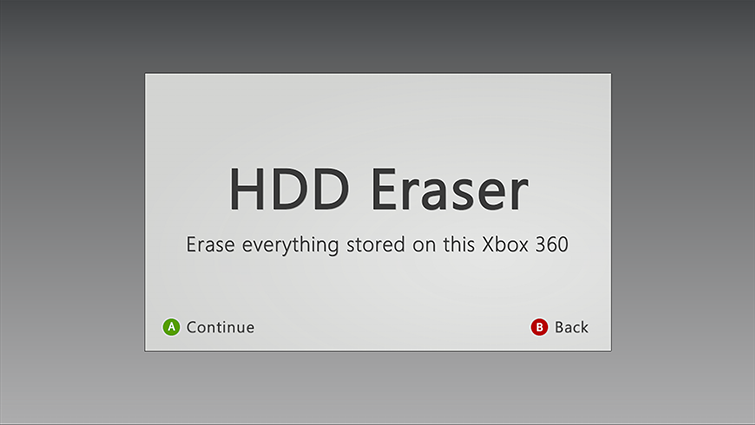 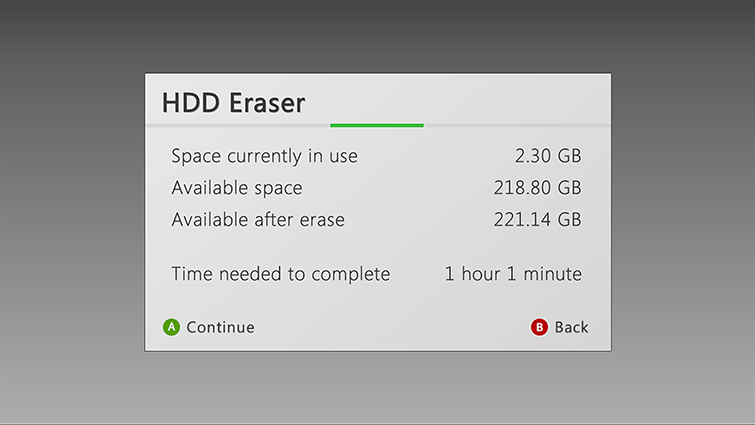 The HDD Eraser app is used to format your Xbox 360 flash memory and hard drive to remove everything but the operating system. 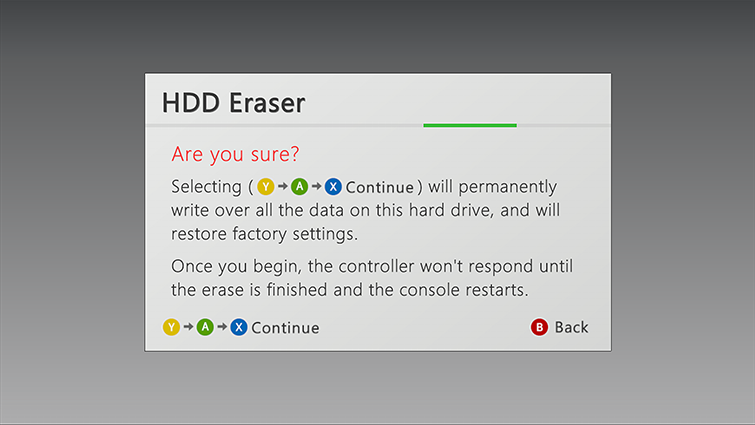 This app will permanently and completely delete all user data, ensuring that no one will be able to recreate or access your personal information on the hard drive or flash memory after you’ve used the app. 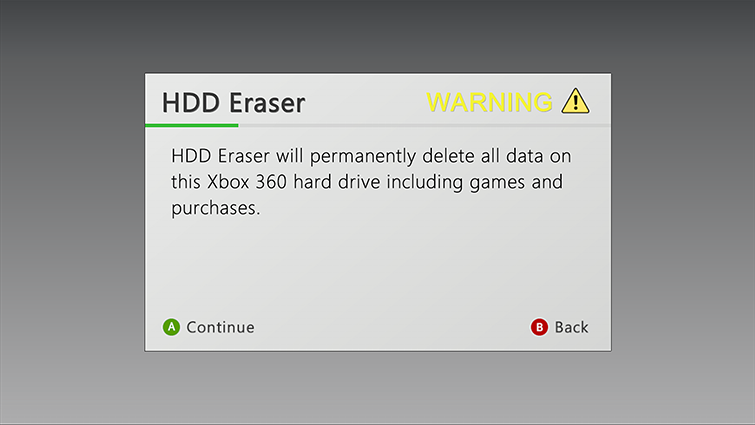 To start the HDD Eraser app later, go to video, My Video Apps, and then HDD Eraser.